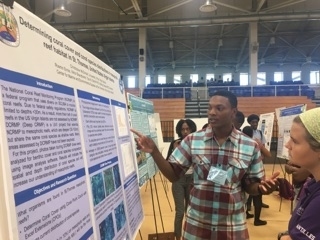 An day trip to the University of the Virgin Islands' Research Symposium gave Upper and Middle School students the chance to see a few of the important research techniques they're currently trying to develop - demonstrated among them, how to best present your work once you've made a scientific finding or discovery. "A poster presentation is a very common technique, and also a critical mechanism for sharing your research with other scientists. Similar poster presentations happen at science conferences all over the world and it's wonderful to be able to give our students the chance to see a variety of final products and what information is included," Crystal Buckley '03, who spearheaded the student trip along with colleague Jeannine Wilson. New ideas for research can be sparked by interactions with UVI students and professors about their ongoing work, and new tips passed along that can be applied in the classroom, Ms. Buckley shared. An end-of-the-quarter research paper gave Middle Schoolers the chance to explore the more technical side of writing, while stretching across the curriculum to tie together several different subjects and themes. 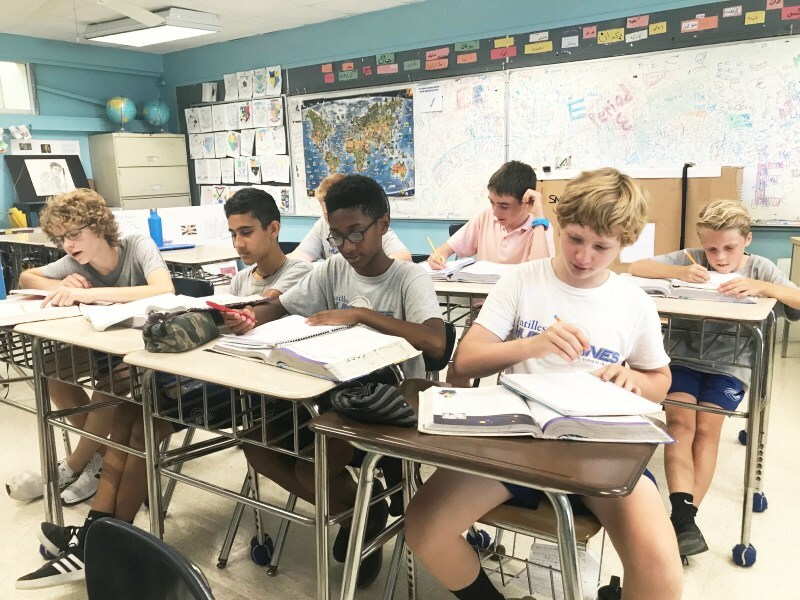 Seventh grade, for example, researched inventions and innovations from the Muslim Empire, a topic that allowed them to draw on what they've been learning in Math, Spanish, and World History. Bringing together the different subjects also allowed students to receive support from multiple teachers as they gathered their resources, organized and analyzed their information, and figured out how to present it. "Since we covered a lot of the subject matter already, it was interesting to learn more about the work side of things. Writing a bibliography, for example, and learning how to properly include a citation, was part of that. Writing a longer paper also means learning how to put everything together in a way that makes sense, and I liked being able to see at the end how it all came together," Colton Coffelt '24 said. Researching reptiles and reefs gives our kindergartners each year the time to practice their reading and writing skills, but more than that, it helps them to master the dynamics of working both in a group and individually. Reefs come first, and during the unit, what's highlighted most is the way the many plants and animals living within the larger ecosystem work together and depend on one another. Mirroring that structure, our students work together to research sea creatures, create board games that they can play as a group, and build a large seascape (see photo) that emphasizes the harmony and role each creature in the reef plays. Moving on to reptiles, each student then has the chance to learn more about creatures that often function more independently within nature. Individually, the students will pick a reptile to research, create a life-sized image of that animal, then present to the class what they've learned. 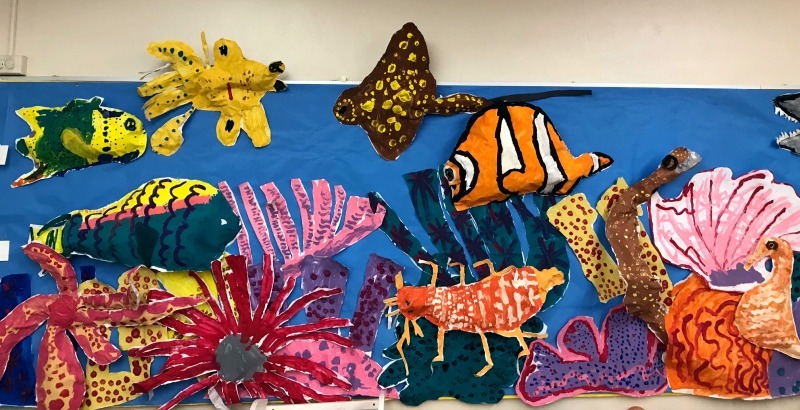 Using creatures throughout both units that students see everyday also helps them connect with and visualize the projects, teachers Thames Shaw and Ellie Qualls shared. What can you make out of bottles, apple sauce cups, and general plastic items? 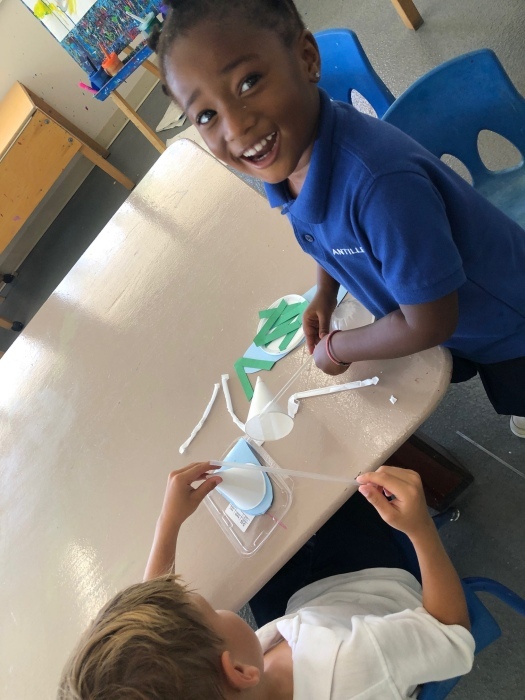 Our Pre-kindergarten classes researched ways of transforming their trash into treasure this week, making everything from garden planters to home made rat traps. The class was inspired by the book Awesome Dawson, which highlights the importance of recycling. "In the book, 'Awesome Dawson' makes a robot from spare parts to help him complete his chores, and after reading that, our students were fascinated by the thought of being able to solve a problem by taking something old and turning it into something new. 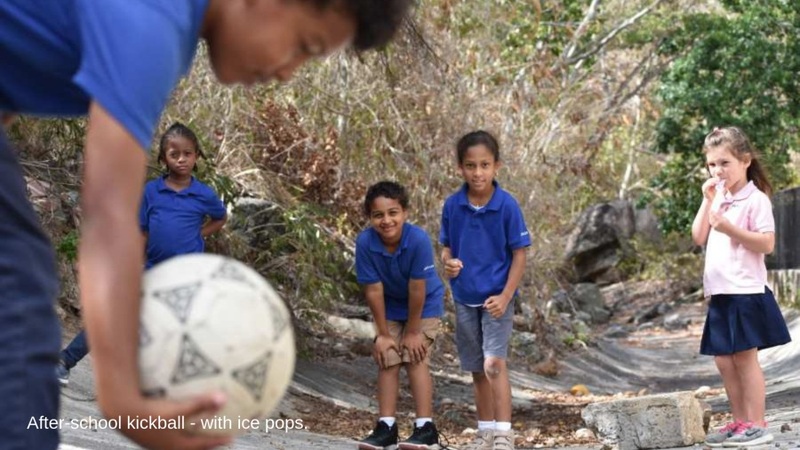 We loved seeing how each group, as they worked out what they wanted to make and what materials they needed, also fully connected to that idea of not letting something just go to waste," teacher Brittanie Sibilly shared. As 'Awesome Dawson' says, "Everything can be used again!" If you're game to try at home, here are some easy, kid-friendly projects just in time for Earth Day. 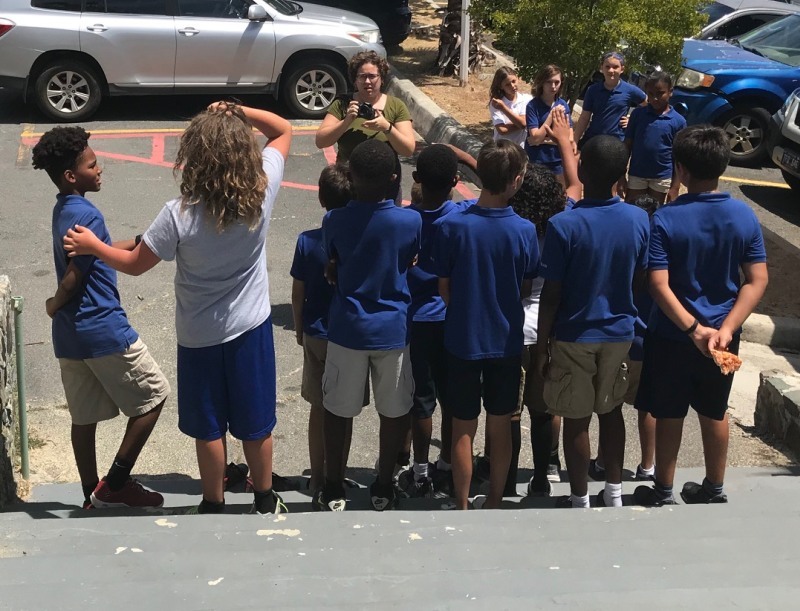 We were excited to wrap up our VI History Month activities with a weekend tour of historic Charlotte Amalie, hosted by our Parent Association and organized by Lorraine Richardson P'26. 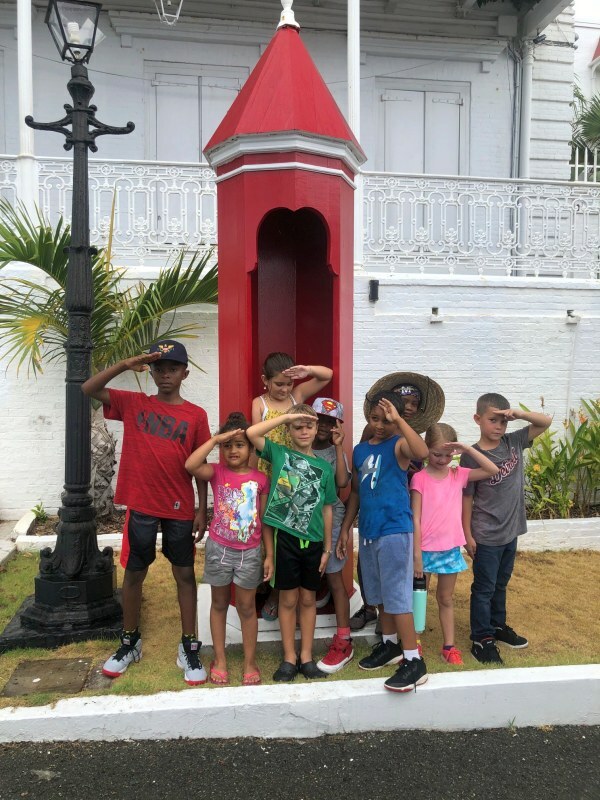 Along with understanding more about the structure of our town, we also learned how our buildings -- such as Blackbeard's Castle and Fort Christian -- were set up to protect it. The political evolution of our islands, and its people, were also brought to life by guide Garfield Marshall, who spoke about everything from the Danish occupation to the 1878 Fireburn and the figures who fought for laborers' rights. A special thank you to Senator Myron Jackson for also stopping in today to share a little more about the significance of Transfer Day, and his family's story. The 1917 ceremony and official transfer of the Danish West Indies signaled the birth of the U.S. Virgin Islands, the Senator shared, and opened up the door for our community to determine its overall identity and status. Best of the Virgin Islands! Amazing! We look forward to continuing to serve our faculty, families, and community. 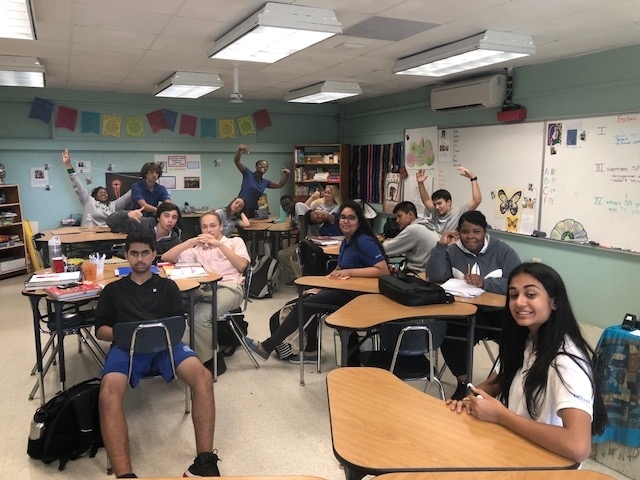 Tiffany Fritz's Upper School Spanish students take advantage of Flex Time with another jam-packed study session. Way to start the quarter strong, guys! 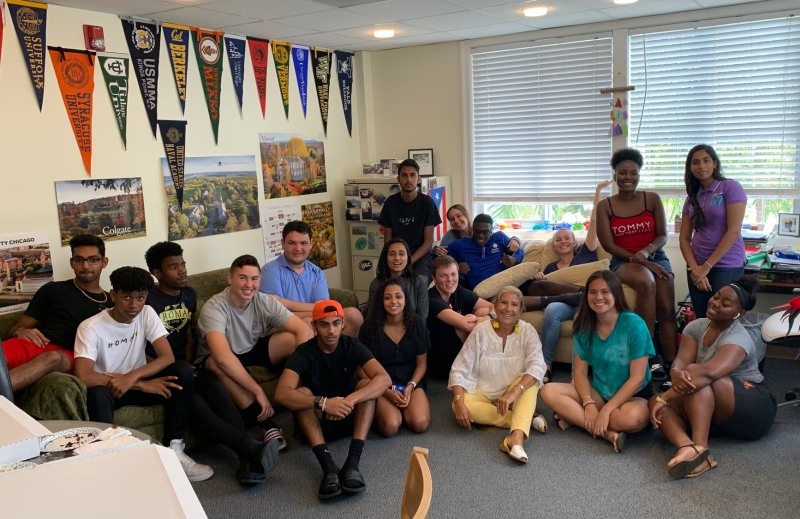 The Class of 2019 took some time to share, celebrate, and connect over lunch Monday. Our seniors are in the process of making their final college decisions and we're excited to start spotlighting them over the next few weeks! A shout-out to Jamie Hartzell for photographing all of our school teams, clubs, and organizations for Yearbook this week. The 2019 edition of Horizon comes out in June - place your order today! 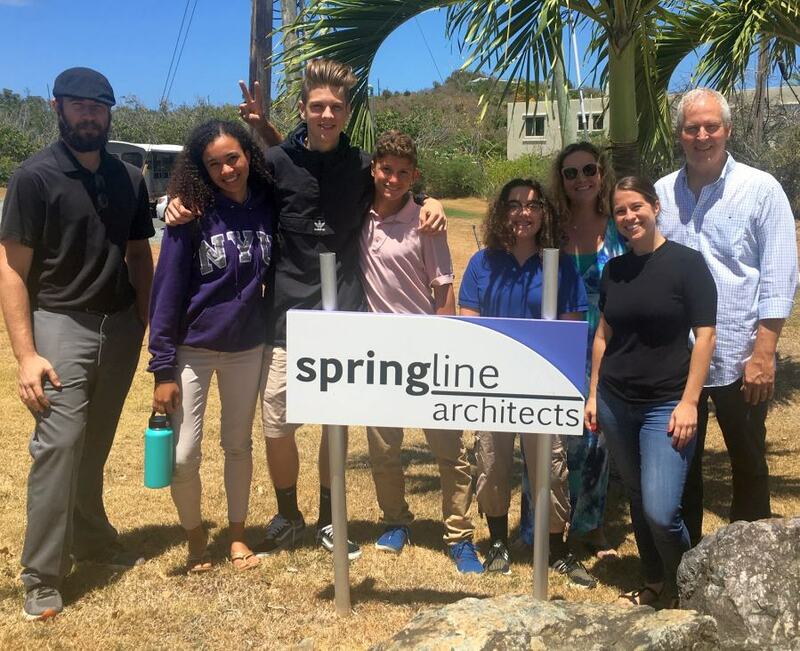 Upper School Theatre students on a field trip this week to Springline Architects to explore how architecture supports the arts in set building and design. 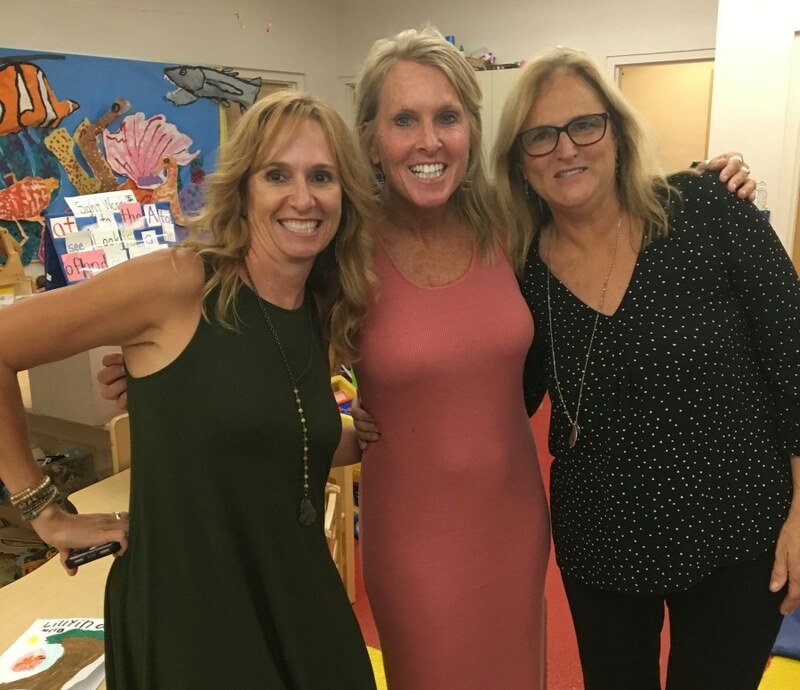 Elin Hilderbrand, author of Winter's Paradise, visited campus Tuesday and caught up with high school classmate Karen Coffelt! Although Elin now lives in Nantucket, she spends five weeks every year on St. John writing her novels and is presently working on the second in a trilogy that takes place on St. John. Congrats to Thames Shaw, who is the winner of the book package Elin donated to this year's gala. Yearbook news! Our hard-working Horizons team is now taking orders for the 2019 yearbook! Order forms are now online on our website - please submit your forms with payment to Jamie Aubain in the Main Office or Don Hancock in the Business Office. Yearbooks are scheduled to arrive in June, and can be picked up in the Main Office.